Michelle joined Watsi on November 5th, 2015. 26 other people also joined Watsi on that day! Michelle's most recent donation traveled 8,800 miles to support Mai, a student from Cambodia, to fund an amputation. Michelle has funded healthcare for 26 patients in 8 countries. Mai is eight years old and in the first grade. He has two brothers and one sister. He likes to play around his home with his cousins and watch animated films on TV. In September of 2013, a two-wheel tractor ran over Mai's right foot. He went to a hospital in Phnom Penh for treatment, but his symptoms did not improve. It became difficult for Mai to walk, and he was in pain. Over time, Mai's foot enlarged due to hyperplasia, which means the reproduction rate of the cells in his foot increased. The foot also became deformed, making him unable to walk comfortably. Mai was embarrassed by his foot, so he did not want to go to school. Mai's parents brought him to visit our medical partner, Children's Surgical Centre (CSC). Unfortunately, his foot was beyond repair. On December 23, surgeons at CSC amputated Mai's foot to allow him to feel comfortable again. CSC is requesting $446 to fund this procedure. 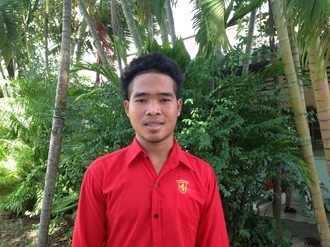 Thorng is a 20-year-old construction worker with four brothers and two sisters. He likes to listen to music on the radio and watch TV. In July, Thorng fell off his motorbike and hit his neck, paralyzing his left arm. He was diagnosed with a brachial plexus injury, meaning that the nerves connecting his spine to his arm were damaged. Thorng was in pain, and he could not raise his left arm. After learning about our medical partner, Children's Surgical Centre (CSC), Thorng traveled for five hours with his mother to reach CSC for treatment. On November 1, surgeons performed a nerve transfer surgery in his left arm. After recovery, he should be able to use his arm easily. Now, he needs help to fund this $450 procedure. Ma Kyi is a shy, 14-year-old girl from Hpa-an, Burma. She lives with her parents, aunt, and three of her four siblings. Ma Kyi was born with a mass between her eyes. Her parents did not seek treatment because the mass did not cause Ma Kyi any health problems; she had no pain and no issues with her vision or breathing. The parents hoped that the mass might disappear by itself and a person in their village told them that surgery could make Ma Kyi lose her vision. The parents had also never been to a city before and believed they did not have enough money for surgery. Despite the lack of physical symptoms, Ma Kyi’s condition has significantly impacted her life; she felt so self-conscious about her appearance that she stopped attending school four years ago in grade four. Since she has been out of school, she has tried to help her parents around the house as much as possible. She needs a CT scan to confirm what her condition is - though it is suspected to be an encephalocele, or a neural tube defect. Should this be the case, she will be able to receive subsequent surgery to ensure the mass does not grow larger or impact her vision and development in the future. "I hope that Ma Kyi will receive treatment and go back to school," shares her mother. Juana is 70 years old and lives with her family in a humble home made of adobe and tin. Her family owns a small store that sells tortillas and snacks, which is their primary income. 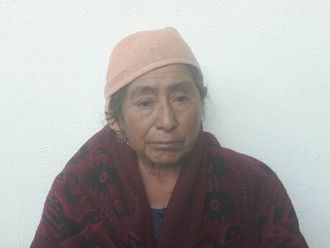 Unfortunately, with several small grandchildren and a growing family, this is not enough to pay for even basic food and water sometimes, let alone high-quality medical care or the travel required to get from her rural village to the hospital. Juana has been suffering from type-two diabetes and high blood pressure for many years without being able to take medication. This has caused her to develop cataracts in her eyes, making her nearly blind. This has made it hard for her to do what she loves most, playing with her grandchildren and weaving traditional Maya textiles. If she does not receive treatment, she could become totally blind and require assistance in all her daily activities, severely limiting her independence. $1,500 will cover the costs of the surgery to remove Juana's cataracts, as well as all post-operative care. This treatment will allow Juana to see clearly for the first time in nearly a decade. She will be able to play with her grandchildren, weave, and do daily activities without assistance. 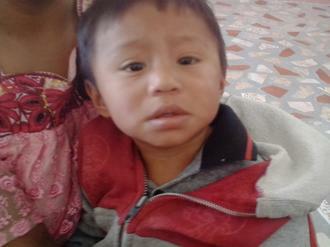 Juan is the youngest of three children, at 16-months-old. He lives with his family in a one-room adobe house in Guatemala. He always smiles and laughs when he is playing with his toy cars with his siblings. His mother works at home, cooking and cleaning. His father works as a day laborer in the fields, and when there isn't work in the fields, he looks for firewood to sell. Juan is suffering from acute malnutrition, meaning that he has not been getting the protein, calories, or nutrients he needs to grow properly. Although his parents want the best for him, with only a couple dollars per day to buy food for the family, they cannot afford to buy him the foods he needs to overcome malnutrition. His poor diet has made his immune system weak, and left him with little energy to grow and play. Malnutrition has not only stunted his physical growth but also decreased his appetite and delayed his mental and physical development. While most children can crawl by ten months and walk on their own by eighteen, Juan is unable to do either, even with help. If left untreated, Juan could face permanent deficiencies (such as a low IQ) and increased risk for chronic disease as an adult. For $512, Juan's treatment will provide him a protein and nutrient-rich diet to help recuperate his height and weight, as well as deworming medication and micronutrients to strengthen his immune system. 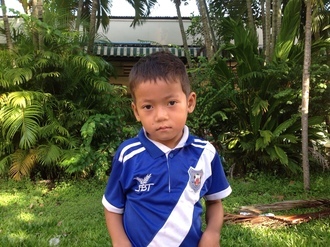 Getting Juan treatment now will give him the energy to grow and play, increase his capacity to learn, and eventually help him succeed in school. His mother will also receive intensive nutrition education that will empower her to continue to provide her son an improved diet after the treatment is over. "We dream that our son can grow and develop well, so that when he is big he can be the municipal secretary of the community," shares his mother. Pablo's vision has been slowly deteriorating for several years. He was told by a doctor that he likely had cataracts, which are complicating his vision and could make him blind if he does not receive surgery. He lives in an incredibly rural Guatemalan community - 12 hours away from the only hospital in the country capable of giving him the specialized care he needs. 54-year-old Pablo is a friendly and hardworking father - he drives a pickup truck transporting wood from the fields into the city to support his four children. He lives with his family in a one-room house with a tin roof in the northern jungle of Guatemala. He makes only a couple dollars per day and, until his evaluation with the eye specialist, had never been out of his home community. His favorite thing to do when he is not working is to go out and visit his neighbors. Recently, because his vision has gotten so bad, Pablo has been having a hard time at work is worried that he will have an accident if he does not get surgery soon. This surgery, which costs $1500 and will be done with doctors from Watsi's medical partner, Wuqu' Kawoq, will give Pablo clear lenses so he will be capable of seeing, giving him the ability to work safely without fear of accidents. This surgery will prevent him from becoming blind, and allow him to live a full and happy life in which he is able to provide for his family. "I have been looking for support for one year and so I am so appreciative for the help that I will now get," shares Pablo. Sothy is a 45-year-old woman who is married with two sons and one daughter. One year ago, Sothy developed a cataract in each eye. Cataracts occur due to age-related changes in the eyes. The lenses become cloudy, causing functional blindness among other symptoms. Sothy experiences blurred vision and photophobia (extreme sensitivity to light). She can't see clearly, do work well, or go outside on her own. To reach Wasti's medical partner, Children's Surgical Centre (CSC), Sothy traveled for 10 hours with her daughter. After a phaco procedure and an intraocular lens (IOL) implant in each eye, Sothy will be able to see clearly again. The phaco procedure will remove the cloudy lenses, and replace them with clear, IOL implants. The procedure and three days in the hospital will cost $225. In her free time, Sothy enjoys watching Thai dramas on TV and helping her children sell goods and coffee to make money. "I hope I can see clearly so I can continue to help my children sell goods," Sothy tells us of her hopes for after surgery. Augustino is a cute, nine-year-old boy from Tanzania, born on November 1, 2006. Augustino is the first born in a family of four children. He was born without any problems, but when he turned five-years-old, his legs slowly started to bow inwards causing him to knock his knees when walking. He now complains of feeling pain on the knees especially when climbing up a hill. He can’t run as fast as he used to. Augustino enjoys playing with cars and lego blocks. His mother does a bit of farm work and his father is a self-employed carpenter. What they both earn is not enough to cover their day to day expenses as well as the cost of surgery which Augustino needs. 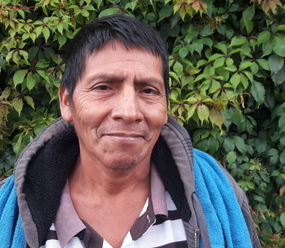 For $940, Augustino will have surgery to treat his knocked knees, allowing him to walk properly. "I hope my son’s legs can be straightened to allow him to walk properly so that he can go to school," his father shared, "and later on get a good career and ability to live an independent life." 32-year-old Rina noticed a mass on his neck, and came to our medical partner, Children's Surgical Centre (CSC), for treatment. It causes him mild pain and makes it difficult to breathe. Doctors discovered a tumor, and recommended surgery. 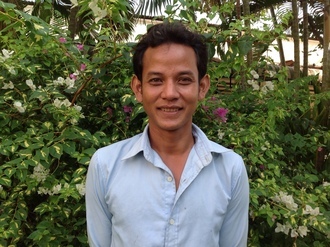 Rina is from Cambodia, where he is married with 2 daughters and 1 son. He is a 32-year-old farmer and gardener. He enjoys looking after his son and daughters and helping his wife do work at home. Rina traveled 4 hours with his wife to reach CSC for treatment. For $99, CSC surgeons will operate and remove the mass. "I hope my neck is painless and normal again," Rina shared. "When I am healed after my operation I will return home and go back to work." Born is a 69-year-old father from Cambodia. He is married with five sons, four daughters, and 30 grandchildren. He enjoys reading Buddhist texts and watching Thai dramas on TV. “Born developed a cataract in each eye three years ago. This causes him blurred vision, tearing, cloudy lenses, and he is afraid of sunshine,” shares our medical partner, Children’s Surgical Centre (CSC). “He can't see anything clearly, recognize faces, do work well, or go outside on his own.” Before he lost his sight, Born worked at the pagoda. He and his son-in-law travelled three hours to CSC. Cataracts occur when the lens of the eye becomes cloudy. For $225 CSC doctors will perform a surgery to remove Born’s cloudy lenses and replace them with synthetic implants. The surgery should last around an hour and Born’s should regain his sight shortly afterwards. “I hope my vision gets better so I can see everything clearly like letters and faces and be able to do work and go outside by myself,” says Born. Rim is a 67-year-old rice farmer from Cambodia. A year ago she developed a cataract in both of her eyes. A cataract is a clouding of the lens of the eyes, which can inhibit a person’s vision. “Rim can’t see everything clearly, do work well, or go anywhere outside on her own,” shares our medical partner, Children’s Surgical Centre (CSC). “She has blurred vision, cloudy lenses, and irritation.” Due to her condition, Rim is unable to work. She has four sons, five daughters, and 25 grandchildren. In her free time she enjoys visiting the pagoda to listen to the monks pray. $225 will fund surgery for CSC doctors to remove Rim’s cloudy lenses and replace them with synthetic implants. The surgery takes around an hour. “I hope I will be able to see everything clearly so I can continue to work on the farm and take care of my cow," Rim shared. 65-year-old Bindra was walking down a flight of stairs when she tripped and fell on the ground, fracturing her right hand. 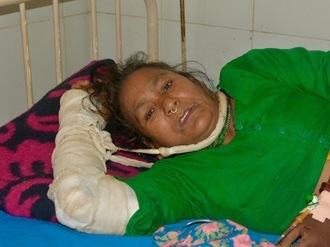 Some villages in her region of Nepal do not have electricity, and such accidents in the evenings are a common occurrence. Bindra lives with her eldest son, her daughter-in-law and grandchildren. The rest of her family has settled in India to make a living. At home, Bindra is responsible for grazing the cattle and looking after her young grandchildren. She is unable to afford the $579 treatment cost, which will ease her pain and allow her to regain use of her hand. "I hope to be cured soon," Bindra said.